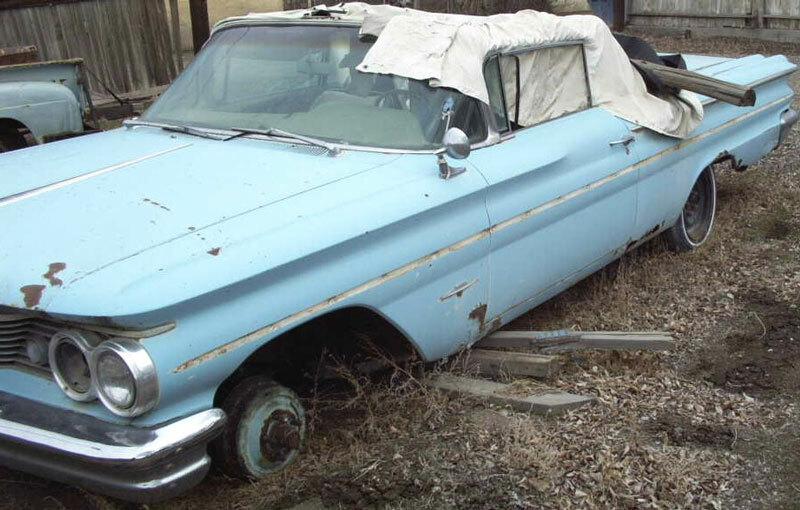 This light blue 1960 Pontiac Bonneville convertible is a very complete classic project car ready to be restored. This is the top-of-the-line "wide track" car for Pontiac in 1960 and is one of the most desirable and sought-after classic convertibles ever made. There is rust in the rockers and around the wheel wells. The side trim is missing and the tail light lenses are broken. 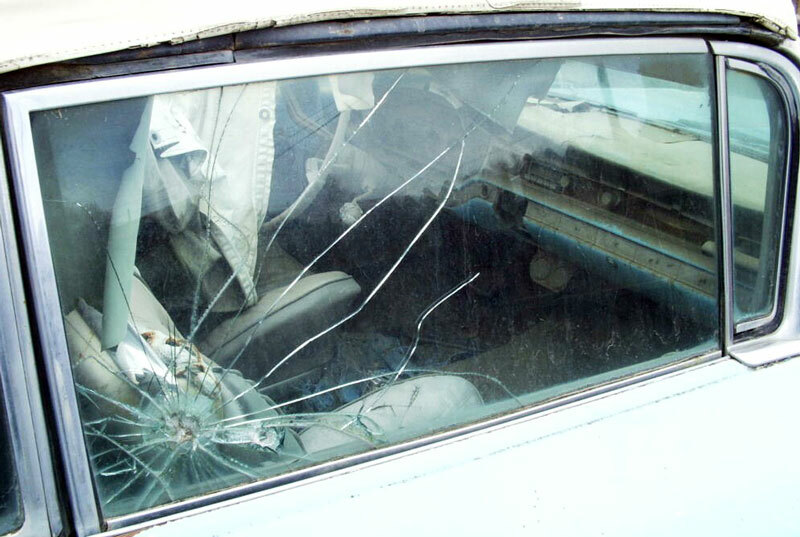 The windshield and glass are good. The top is all there. 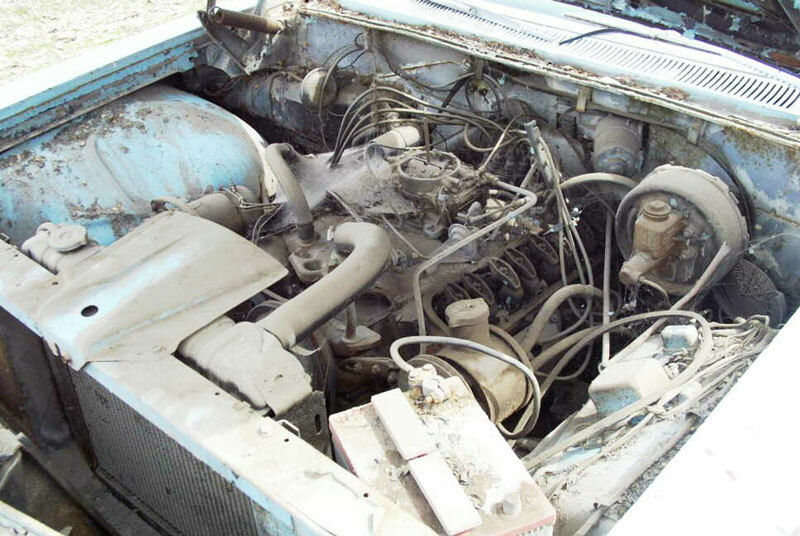 The 389 CID 281 HP 4 barrel V-8 motor and automatic transmission are all there except the left valve cover is missing. 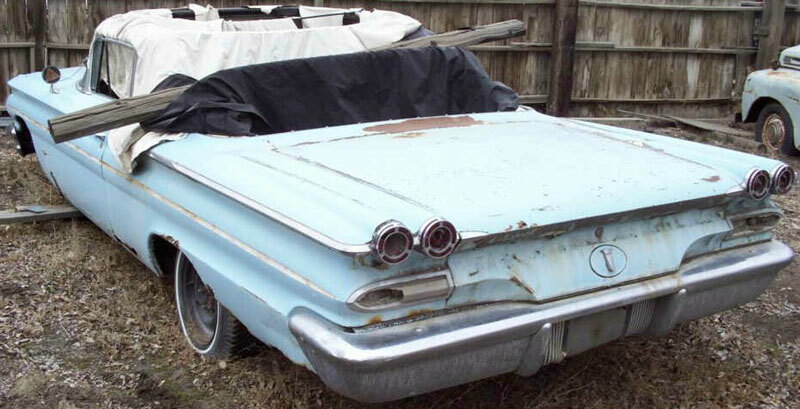 Don't miss this rare opportunity to buy and restore a 60 Bonneville convertible. Please call (406) 318-0270 for details about this restorable classic project car.